Customers are calling businesses in greater numbers than ever before thanks to digital marketing channels – especially mobile search. Call intelligence company Invoca recently completed an analysis of 58 million calls across 40 industries and has released several useful insights for marketers in their 2016 Call Intelligence Index. Here are just five interesting stats and insights from the report. 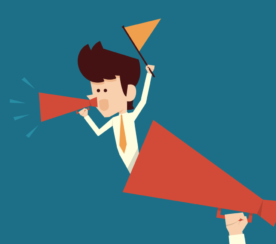 An amazing 92 percent of calls are a result of marketing efforts on digital channels. That’s an increase from 84 percent a year ago. Invoca noted that digital marketing isn’t replacing calls that would have been made to these businesses anyway – it’s actually generating new calls that may have never otherwise happened. The consumer journey isn’t a straight path. Most people don’t even see a difference between online vs. offline. 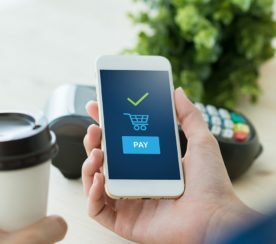 Consumers will interact with your business across channels, devices, and platforms, whether it’s through organic search, social media, email, advertising, or offline. Phone calls are so important because someone who is interested enough to call you is more likely to buy from you. Reducing friction is critical to capitalize on that intent, especially considering that 65 percent of people prefer to contact businesses by phone. 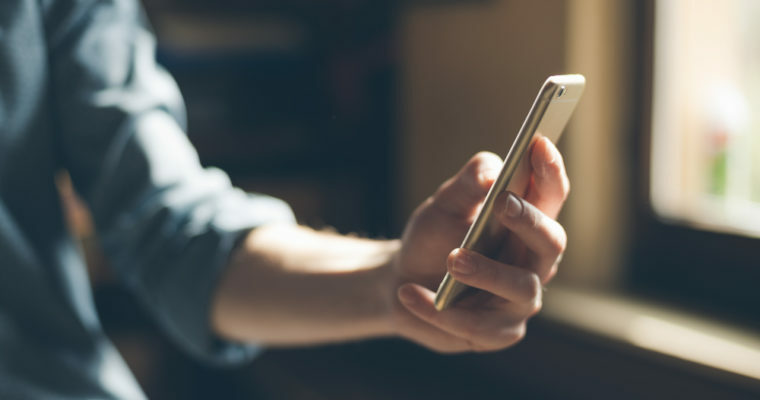 Thanks to features like Google’s call-only ad types and click-to-call buttons, mobile search is the leading channel for phone calls to businesses. 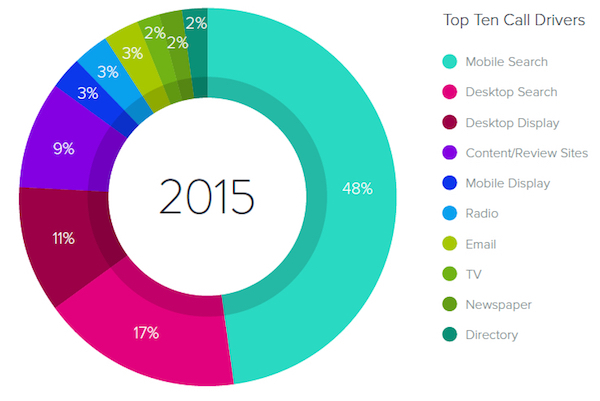 In total, mobile search drove 48 percent of calls in 2015. Desktop search (17 percent) ranked second, followed by desktop display (11 percent). More than 100 billion calls will be made to businesses this year, according to BIAKelsey. 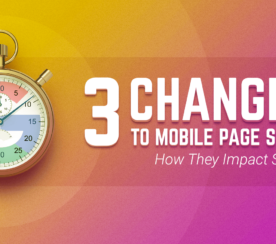 This report clearly shows that mobile search in particular plays a crucial role. So make it as easy as possible for customers to call you. 3. Most Calls Happen on Mondays From 11 to 11:59 a.m. The most popular day to call businesses is Monday. The most calls happen from 11 to 11:59 a.m. (based on their local time zone). Sunday is the least popular day to call. 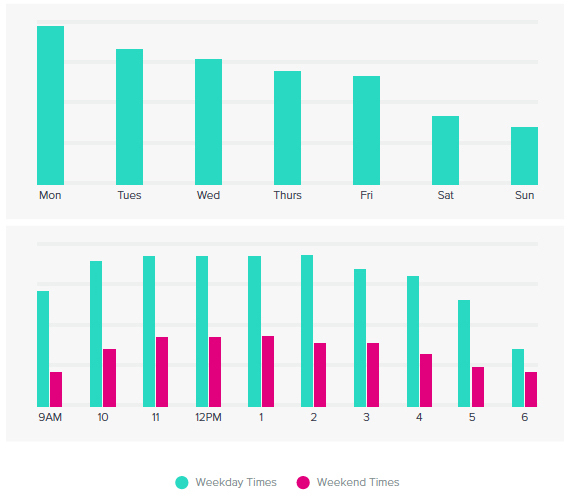 And on the weekends, people are more likely to call between 12 and 12:59 p.m.
Knowing the times and days when people are more likely to call can help shape your mobile ad targeting strategy. On average, calls lasted 4 minutes and 52 seconds, which is 18 percent longer than the prior year. But averages can be a bit dangerous since call duration varies by industry. For example, in the computer electronics industry, the average call durations was just over 9 minutes, whereas calls in the auto industry last just over 90 seconds. Location is a critical element of any mobile strategy. Invoca also analyzed which states drive the most and fewest calls. Washington, D.C., has the highest call volume, although it isn’t a state. 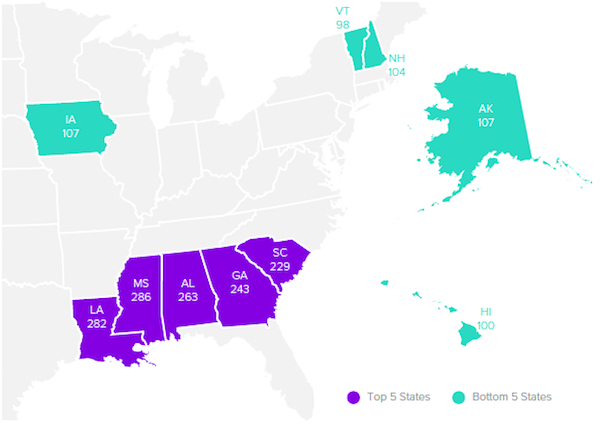 The most calls came from the deep south states of Missouri, Louisiana, Alabama, Georgia, and South Carolina, which means investing more in mobile search would probably make sense if this is your target market. The least calls came from Vermont, Hawaii, New Hampshire, Alaska, and Iowa, so you should consider whether it’s worth investing heavily in mobile search if your target customers live in these states.